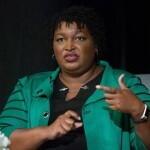 Democrats have selected former Georgia gubernatorial candidate Stacey Abrams to deliver the response to President Trump’s State of the Union address. The address will take place on Tuesday, after being delayed due to the government shutdown. Abrams will become the first person not in public office to respond to the president, as well as the first African-American woman to deliver the response. Supreme Court Justice Ruth Bader Ginsburg recently missed oral arguments as she continues to recover after having two tumors removed from her lung last month. But the Supreme Court has said she is cancer-free and that the 85-year-old, now three-time cancer-surviving justice, has been reviewing arguments and weighing in on cases from home. Meanwhile, the documentary ”RBG” about her life has been nominated for an Academy Award. At the Sundance Film Festival, Democracy Now! speaks with Julie Cohen, one of the film’s directors.